« Good Afternoon From IMS! 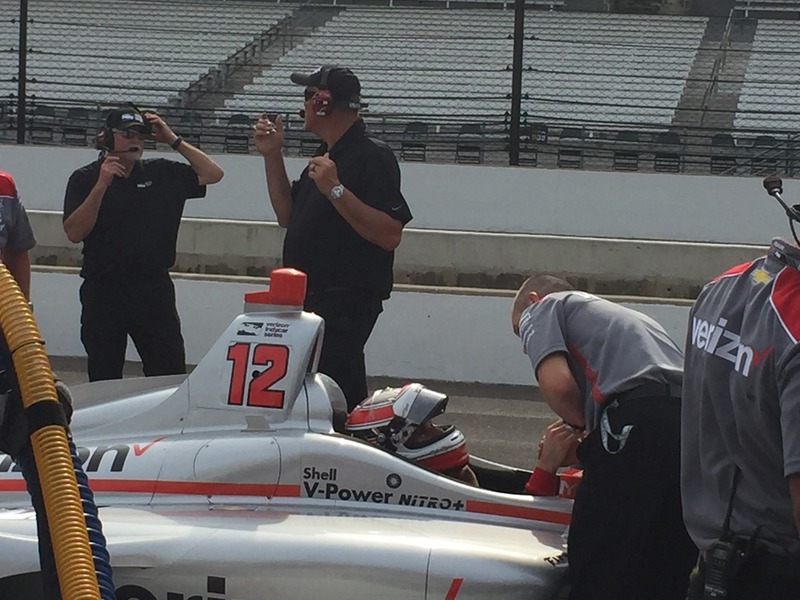 It is probably not a surprise that Will Power has won the pole for Saturday’s IndyCar Grand Prix at the Indianapolis Motor Speedway. Power has won twice here in the four previous races and has always been strong on the road course at IMS. 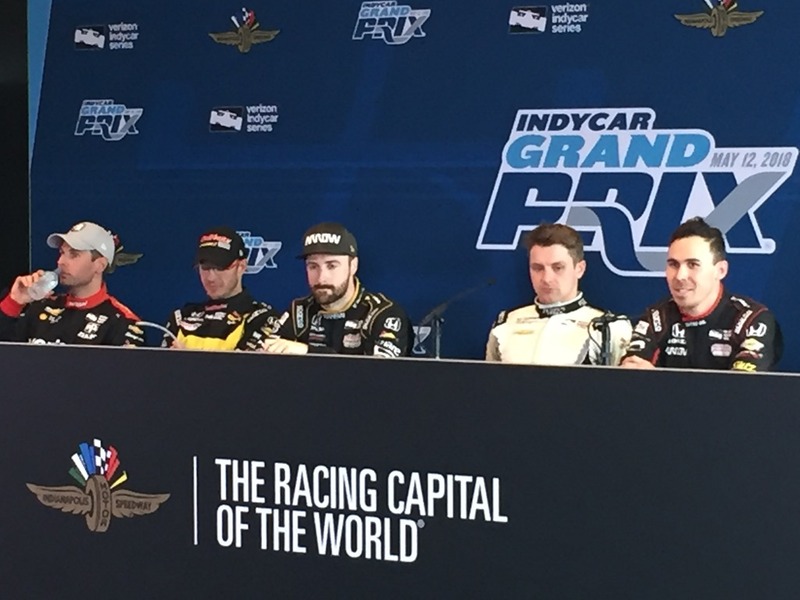 But the surprise is that rookie Robert Wickens is starting second and his Schmidt Peterson Motorsports teammate, James Hinchclffe is starting fourth. They had both struggled in practice and neither was expected to be in the Firestone Fast Six. Another driver that had struggled was Sébastien Bourdais. He was interviewed over the PA and said he was not expecting much. Bourdais will start third. Ed Carpenter Racing’s Jordan King will start fifth and Josef Newgarden will roll off sixth. That’s four different teams and two rookies in the Fast Six. That’s also three Hondas and three Chevys. There is a lot of balance at the front of the field. 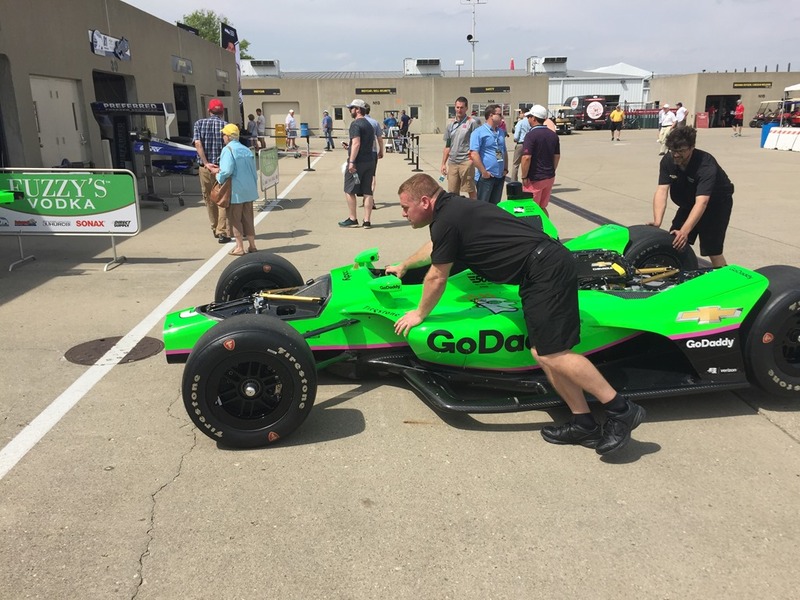 Simon Pagenaud and Alexander Rossi will start seventh and eighth, respectively; while Spencer Pigot and Helio Castroneves will round out the Top-Ten in Saturday’s grid. I started out watching qualifying in the stands at the end of Hulman Blvd. and got a good video with the cars coming right towards me before they took the hard left. After the first group went, I headed for the pits for the remainder of qualifying. 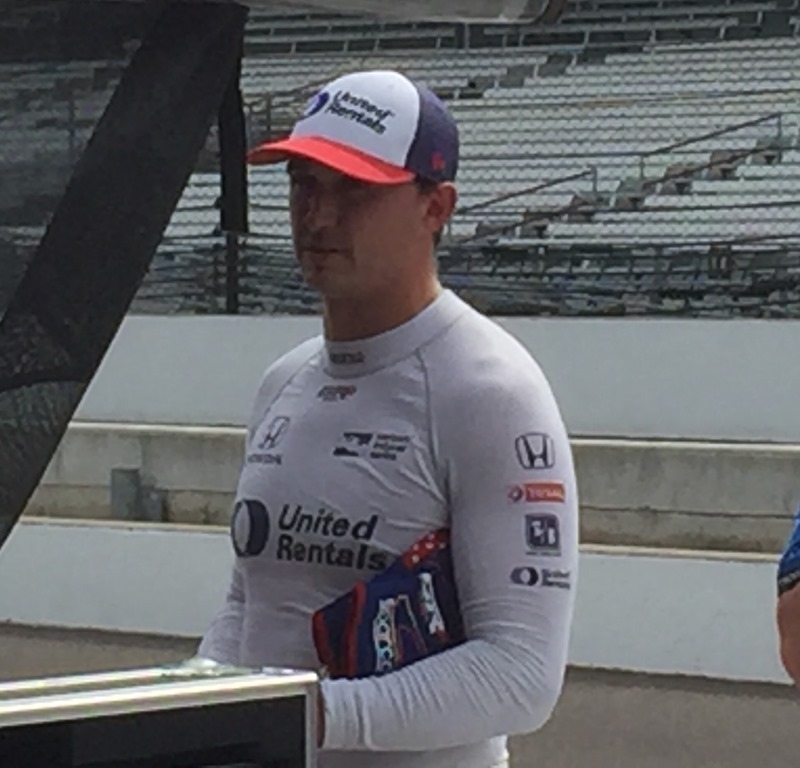 I got some random shots that I’ll post at the bottom of this page, including a very disappointed Graham Rahal after he was knocked out of the first round. 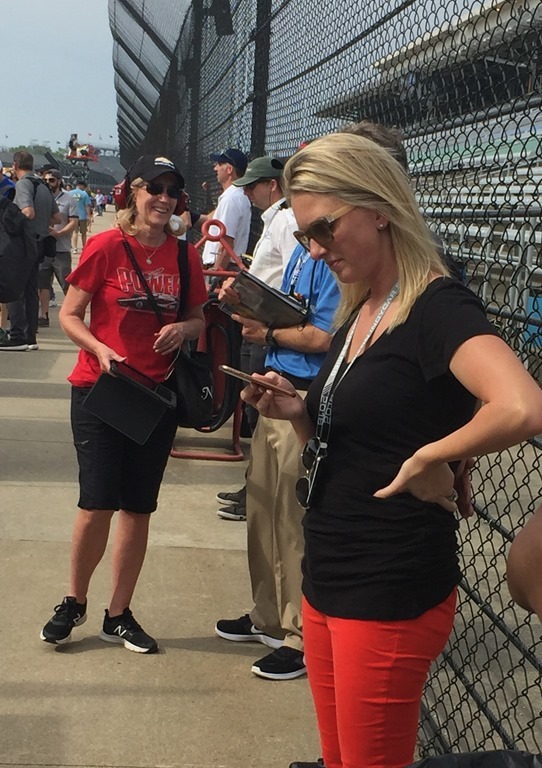 There are also a couple of drivers wives that I snuck photos of. Below will be Max Chilton’s wife and Liz Power. I am picking Susan up at the airport tonight at 10:10. Chances are, she will not think highly of being at the track at the crack of dawn, but we will try to be here at a relatively decent hour. I like watching the support races and just taking in the track. 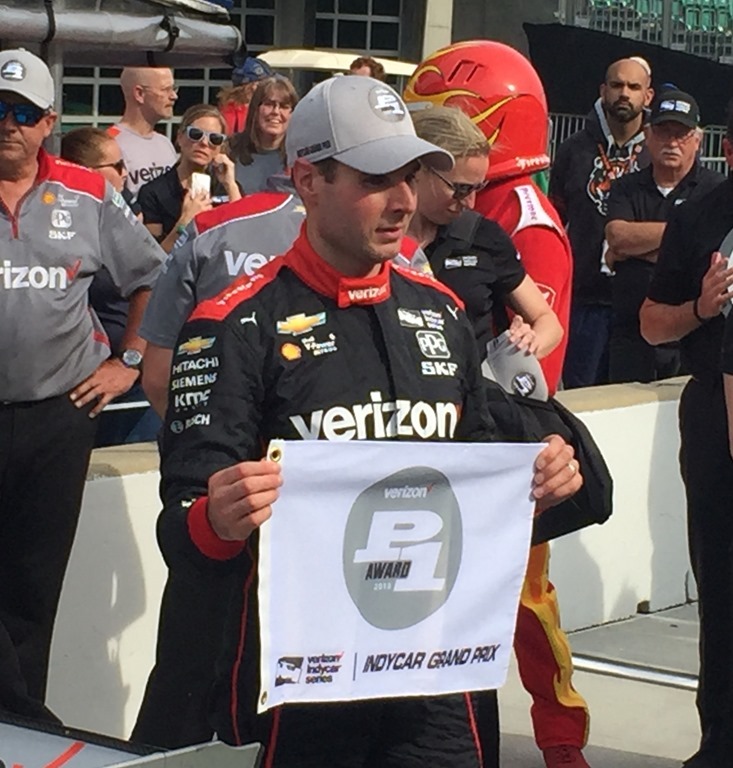 The Verizon IndyCar Series race tomorrow airs on ABC at 3:30 EDT. We will be posting from the track in the morning and during the day. In the meantime, follow me on Twitter at @Oilpressureblog and Susan at @MrsOilpressure. This entry was posted on May 11, 2018 at 5:41 pm and is filed under IndyCar. You can follow any responses to this entry through the RSS 2.0 feed. You can leave a response, or trackback from your own site. I am not one of those who are always whining about the camera lingering on the driver’s wives and girlfriends. Quite the contrary actually, so thank you for these photos.